Ideal for tight spaces. Feature RedMere technology. Lighter, thinner and faster without compromising the speed of data transfer or resolution. Ideal for connecting mobile phones, pocket cameras, and other portable devices to your big screen HDTV. Type D HDMI cables are perfect for portable requirements for your mobile phone, cameras, or laptops. 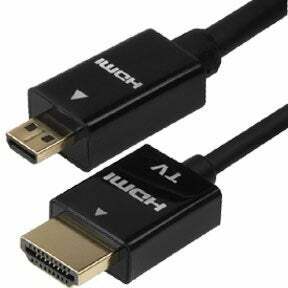 HDMI Type D cables are high speed cables which can easily connect two devices with an HDMI output. Under this category, you can find HDMI Male to micro RedMere slim cables available in different lengths, HDMI to micro HDMI cables in different lengths, among other products.